N.B. Assorted colours will be made up as a selection of the available colours in as near equal quantities as possible. 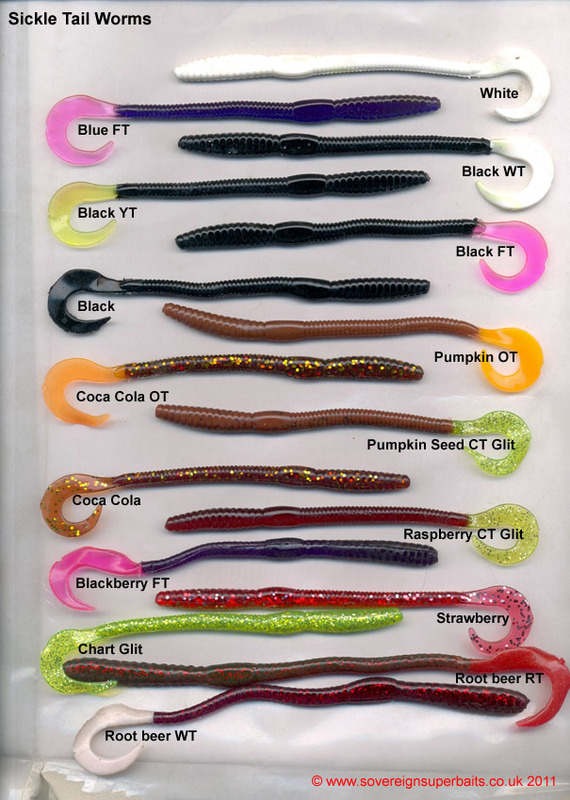 Sovereign Sickle Tail Worms: These jelly worms are amongst the very first soft baits ever designed. 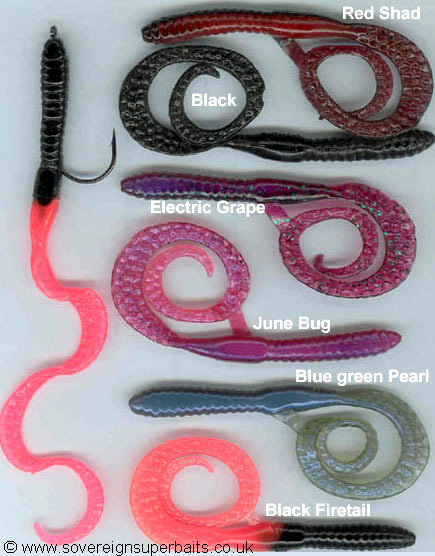 Many different companies in the US claim to have invented the sickle tail worm. 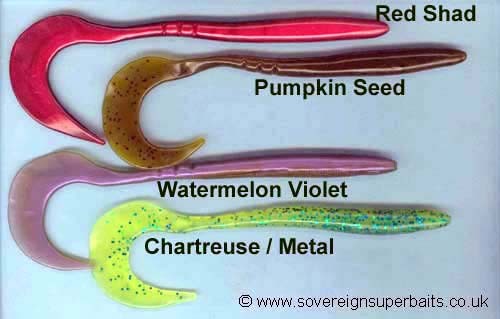 All that is known for definite is that these first appeared in the late fifties, they have accounted for millions of fish and literally billions of this lure have been sold worldwide. 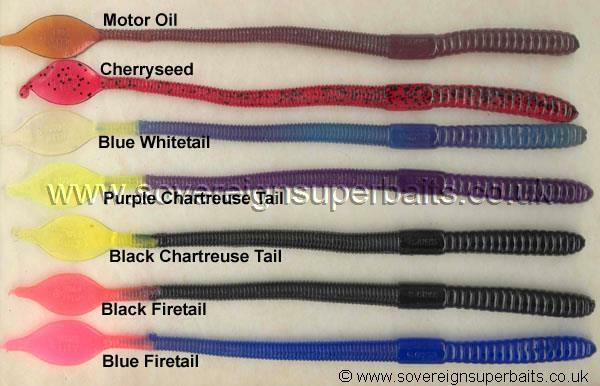 It comes in literally thousands of colour combinations, we have chosen a small selection of colours that is well proven here in the UK, the most famous of which being the “Coca cola orange tail”, extensively used in the “Go Fishing” videos with John Wilson and Mel Russ as the main anglers, and they catch literally hundreds of pounds of fish on camera on this very worm. Mann’s DRAGGIN’ WORM: This worm is a cross between a fat-tailed grub and the sand eel above. It’s slender body moves through the water like a torpedo with the huge sickle tail thrashing and vibrating behind it. This is a truly superb fish catcher with colours for fresh and saltwater.